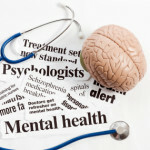 The Rajya Sabha passed, by voice vote, the Mental Health Care Bill, 2013 that seeks to provide better medical care to mentally-ill besides ensuring their basic rights.The upper house discussed and debated the bill, which replaces the Mental Health Act, 1987, for over four hours before giving its nod to it. It was passed with a record 134 amendments. Members, cutting across party lines, expressed concern over condition of mentally-ill people in the country and called for more doctors and facilities for their treatment. Responding to their concerns, Health and Family Welfare Minister J.P. Nadda told the house that the bill has been crafted carefully, so that once it is passed, it will have all good provisions for mentally-ill of the country. “There is no doubt that there is a shortage of staff. We are looking into the issue and more and more doctors are being prepared,” he said. Nadda said that every person will have the right to access mental health care and treatment from services run or funded by the government. “There have been special provisions for women and children in the bill. Women who are with children will not be separated from their children unless necessary,” he said while responding to concerns of the members. He said the bill will also secure rights of the mentally people as it will provide them right to mental health, right to community living, right to protection from cruel and inhuman treatment and right to information. “With this bill, we will be able to empower the mentally ill people and safeguard their interests,” he said. Nadda also noted that mental illness has been defined in the bill. “We all know that earlier a person would be admitted just by saying that he is not well, but not anymore,” he said, adding that now mental illness is clearly defined and what treatment would the patient be given is also mentioned. Psycho surgery, for which lots of apprehensions were expressed, will only be done only when needed, Nadda said, adding that its a “progressive bill”. The minister said that a mentally-ill person will have the right to make an advance directive that states how he wants to be treated for the illness during a mental health situation and who his nominated representative shall be. Rights of persons with mental illness: Every person shall have the right to access mental health care and treatment from services run or funded by the government. The right to access mental health care includes affordable, good quality of and easy access to services. Persons with mental illness also have the right to equality of treatment, protection from inhuman and degrading treatment, free legal services, access to their medical records, and complain regarding deficiencies in provision of mental health care. Advance Directive: A mentally-ill person shall have the right to make an advance directive that states how he wants to be treated for the illness during a mental health situation and who his nominated representative shall be. The advance directive has to be certified by a medical practitioner or registered with the Mental Health Board. If a mental health professional/ relative/care-giver does not wish to follow the directive while treating the person, he can make an application to the Mental Health Board to review/alter/cancel the advance directive. Central and State Mental Health Authority: These are administrative bodies are required to (a) register, supervise and maintain a register of all mental health establishments,(b) develop quality and service provision norms for such establishments, (c) maintain a register of mental health professionals, (d) train law enforcement officials and mental health professionals on the provisions of the Act, (e) receive complaints about deficiencies in provision of services, and (f) advise the government on matters relating to mental health. 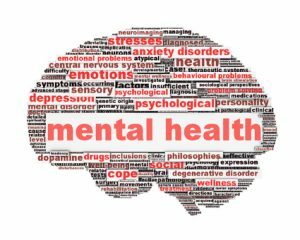 Mental Health Establishments: Every mental health establishment has to be registered with the relevant Central or State Mental Health Authority. In order to be registered, the establishment has to fulfill various criteria prescribed in the Bill. The Bill also specifies the process and procedure to be followed for admission, treatment and discharge of mentally ill individuals. A decision to be admitted in a mental health establishment shall, as far as possible, be made by the person with the mental illness except when he is unable to make an independent decision or conditions exist to make a supported admission unavoidable. Mental Health Review Commission and Board: The Mental Health Review Commission will be a quasi-judicial body that will periodically review the use of and the procedure for making advance directives and advise the government on protection of the rights of mentally ill persons. The Commission shall with the concurrence of the state governments, constitute Mental Health Review Boards in the districts of a state. The Board will have the power to (a) register, review/alter/cancel an advance directive, (b) appoint a nominated representative, (c) adjudicate complaints regarding deficiencies in care and services, (d) receive and decide application from a person with mental illness/his nominated representative/any other interested person against the decision of medical officer or psychiatrists in charge of a mental health establishment.